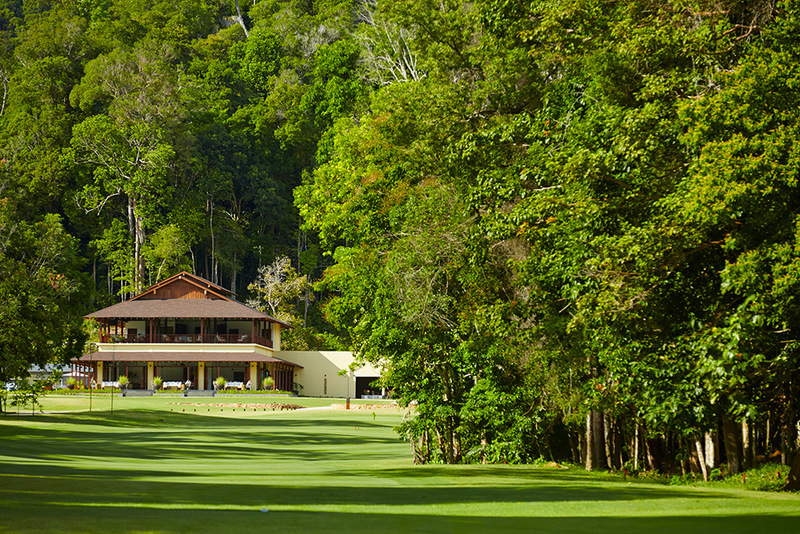 Located on the upper floor of the clubhouse, the lounge provides a perfect place to relax after your round or simply take in the tranquil surrounds of the million year old rainforest. 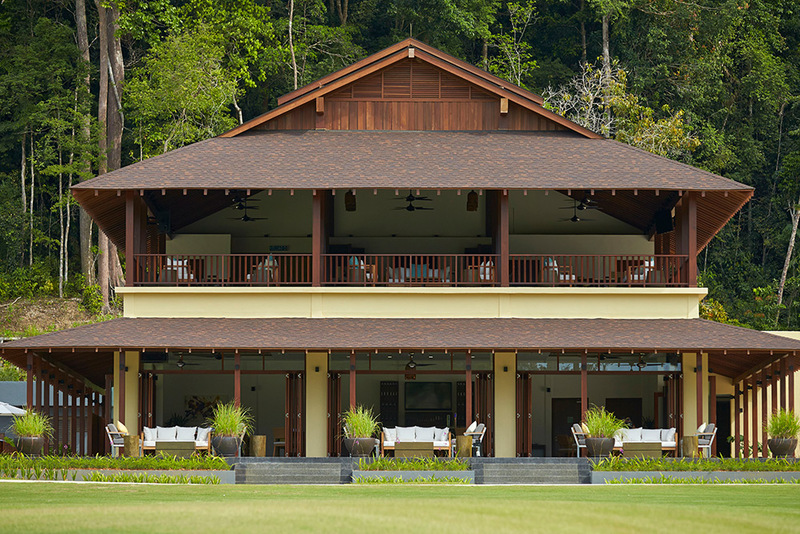 Serving a host of libations it’s easy to spend a leisurely afternoon in the comfort of this open air retreat with expansive views over the Els Club Teluk Datai. 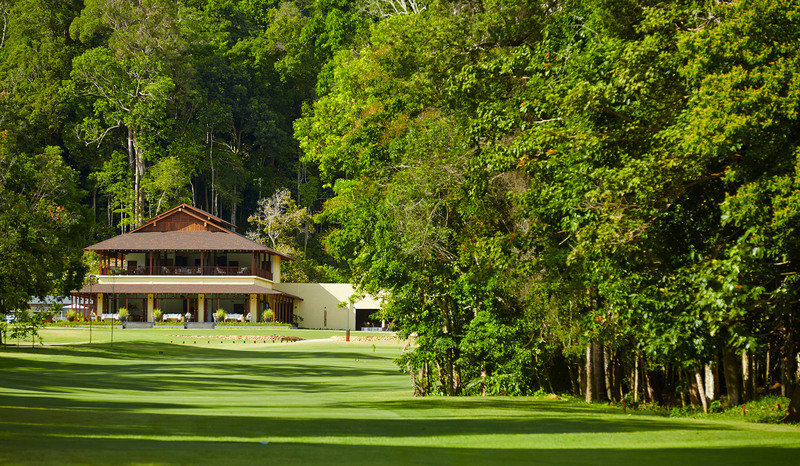 The Els Club Teluk Datai plays host to a 47 hectare, 18 hole par 72 Championship Golf Course. This course has been redesigned by Ernie Els, the South African 4 time major champion. 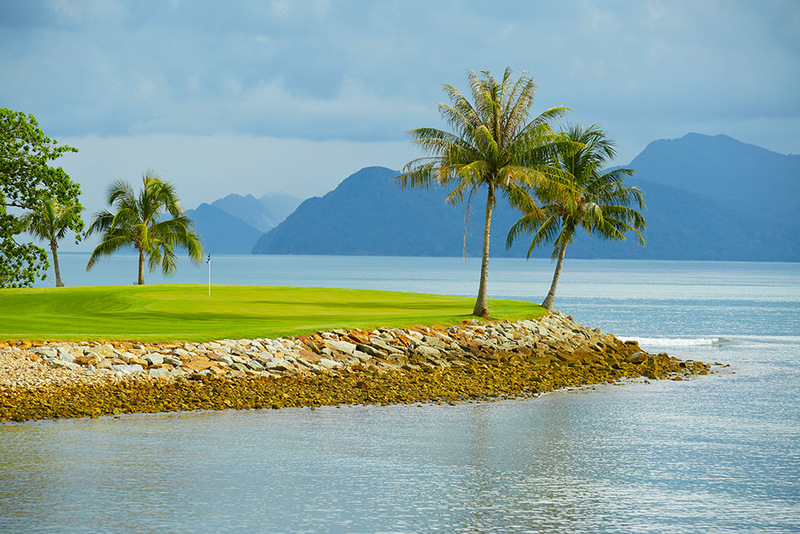 The course has 5 sea front holes (#5,7,8,16 and 17) and no bunkers and incorporates the natural fauna of the rainforest and the core of its design. The Clubhouse has recently been refurbished and includes the Hornbill Café, flexible meeting space, lounge and fully serviced male and female locker facilities. The Clubhouse also has a Golf Shop stocking the latest in Golf and Leisure Apparel along with professional golf equipment. Lobby areas are comfortable and inviting, allowing our guests to enjoy a relaxing environment. 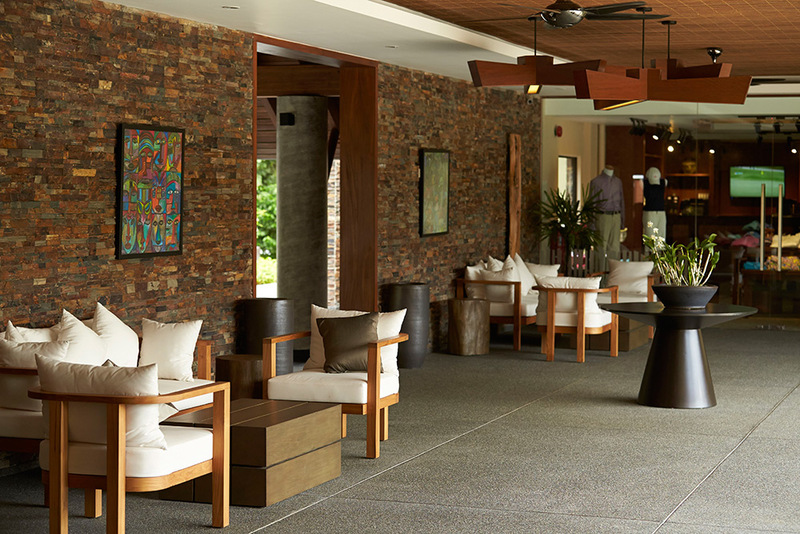 Our Clubhouse facilities provide comfortable sophistication while maintaining the natural elements of surrounds. 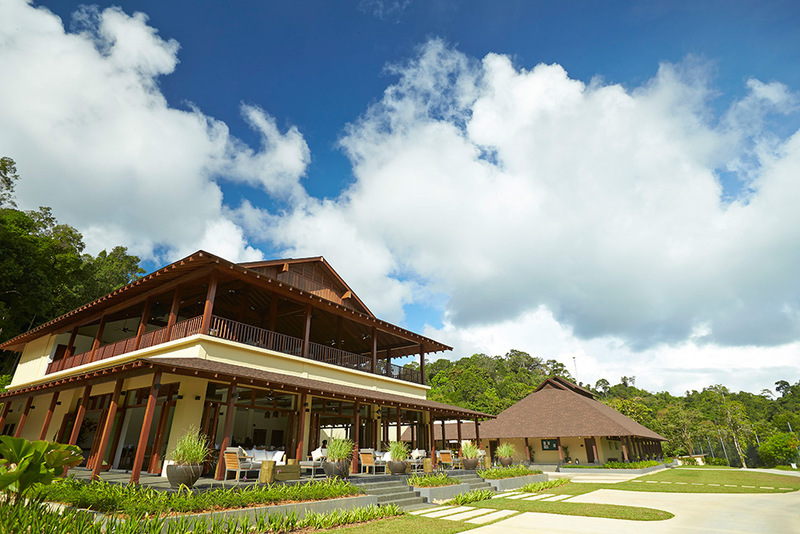 Hornbill Café holds up to 75 people and provides the perfect place for members and guests to enjoy a casual dining experience while overlooking the Championship Golf Course.  The Els Club Teluk Datai boasts the very latest Club Car Precedent buggies equipped with state of the art Visage GPS units. Our extensive facilities cater for all audiences and includes a 1 hole practice green. PGA Professionals are available on site to offer the very best in golf instruction. 47 hectares – 18 hole par 72 Championship Golf Course stretching to 6,760 yards from the championship tees to 5,369 yards from the forward tees. The Els Lounge, provides the perfect open air setting to reflect on your round or simply to enjoy the picturesque setting of the surrounding jungle. The practice facilities include: an extensive putting green, 6 target greens, a 50m x 40m grassed tee, as well as a short game area to hone your skills. Including the Hornbill Café, flexible meeting space, lounge and fully serviced male and female locker facilities. 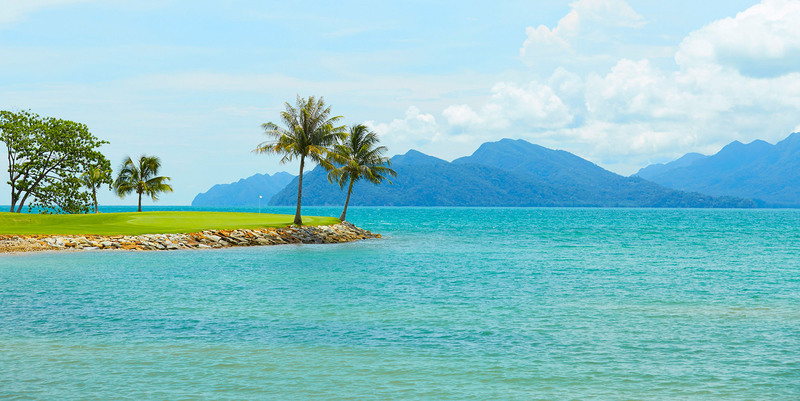 Located on the island of Langkawi just off the northwest coast of peninsular Malaysia, The Els Club Teluk Datai, with it’s Ernie Els designed golf course, is one of the world’s most uniquely captivating golf projects . 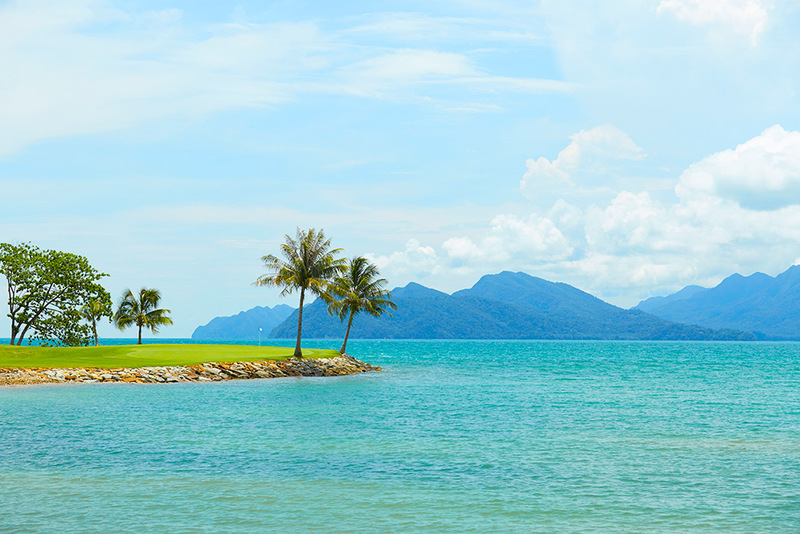 Designed a tribute to nature, The Els Club Teluk Datai meanders it’s way through Million year old rainforest cascading down to the turquoise waters of the Andaman Sea and is overlooked by the marbled limestone peaks of the Mat Chinchang Mountain range. 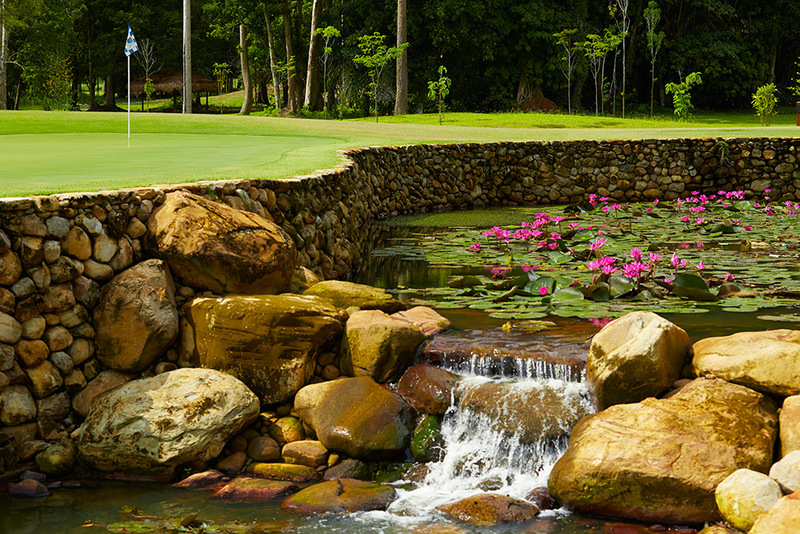 With natural streams flowing throughout the golf course, it’s easy to lose focus on your game as you’re immersed in such a serene environment. 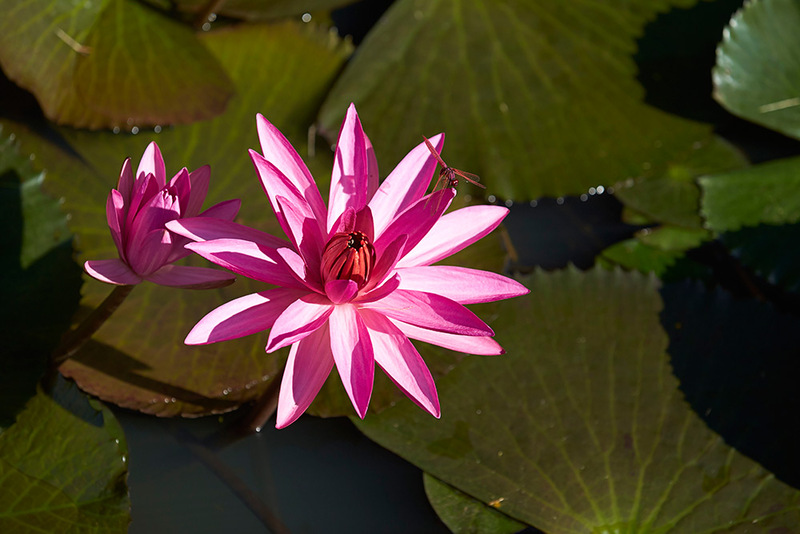 Our vision is to preserve and enhance the natural environment while creating unique experiences.